I'm longing for spring aren't you? So why not shake the cob webs off inside until it's nice enough, starting with the home office. 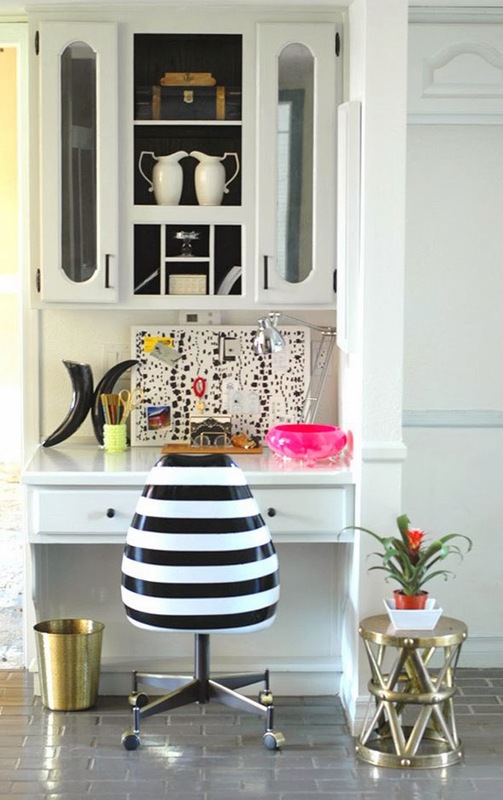 Loving all of these ideas I've found lately to spiff up the office area for spring. Can't wait to get started! Check them out! (Above): I just added this desktop wallpaper to my computer today. Makes for a fresh springy outlook every time you turn it on. 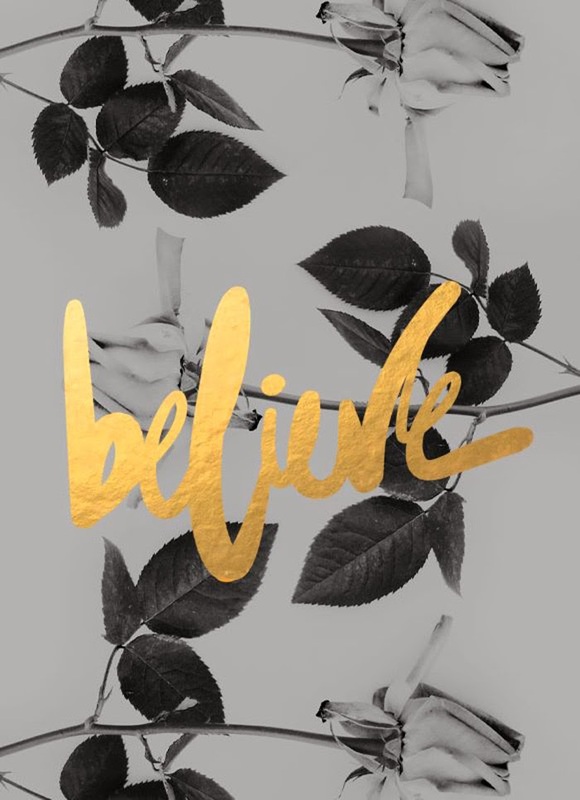 Choose from three different inspirational words: Create, Inspire or Believe. From Cocorinna. 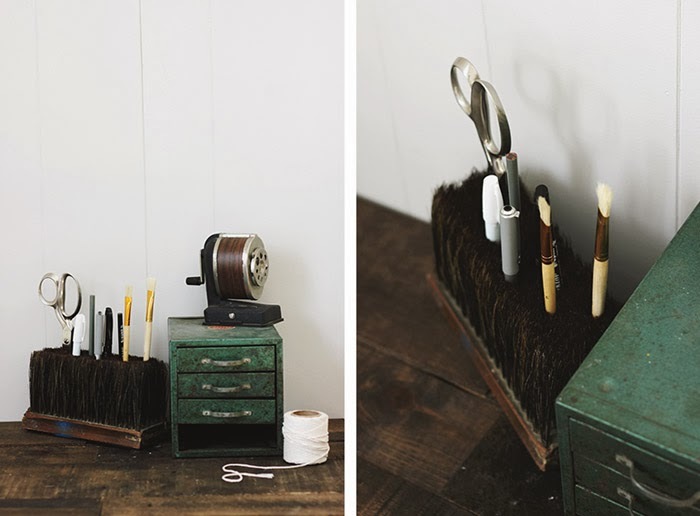 Make this chic desk organizer from a plastic hanger and lucite shadow box frames. Get the how-to from Amy Krist. 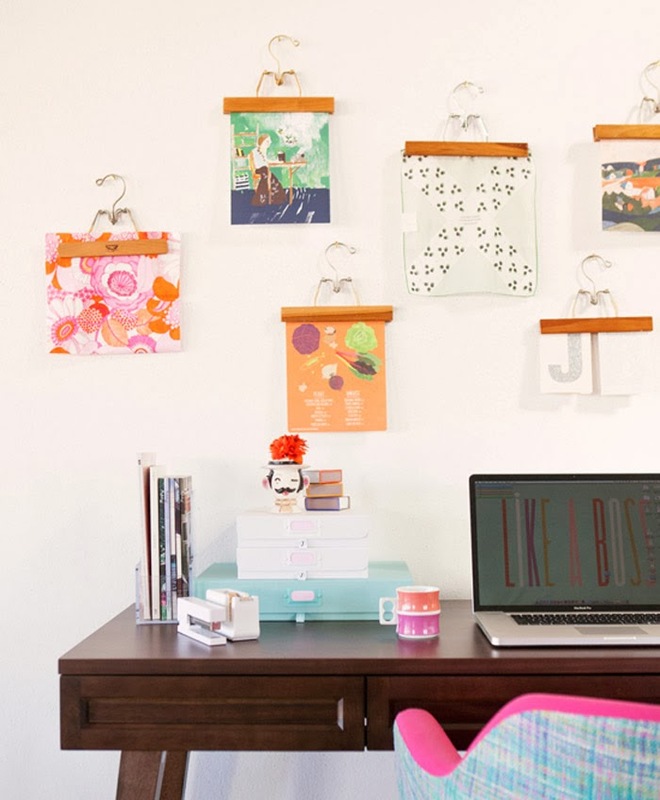 A lovely idea from Oh Joy, hanging colourful prints above your desk. 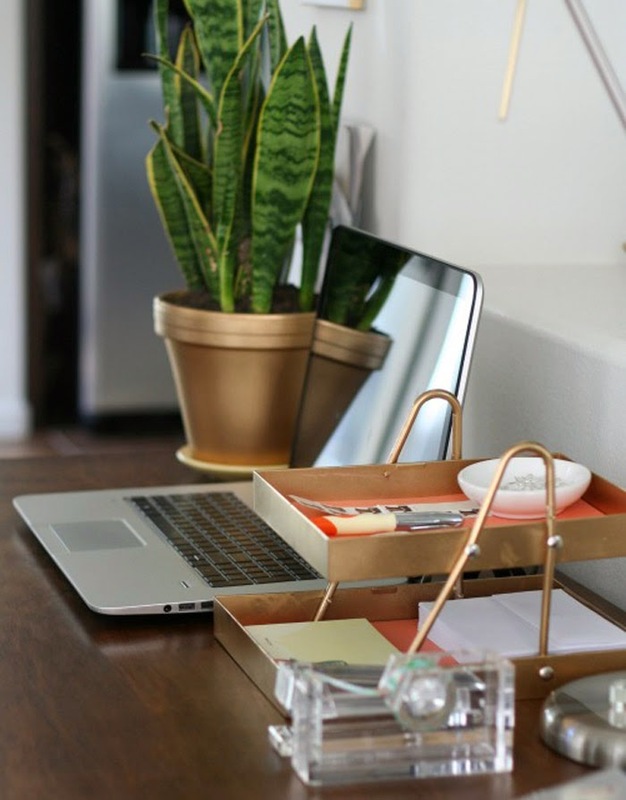 Click here to see the whole picture along with another option for freshening up your desk. 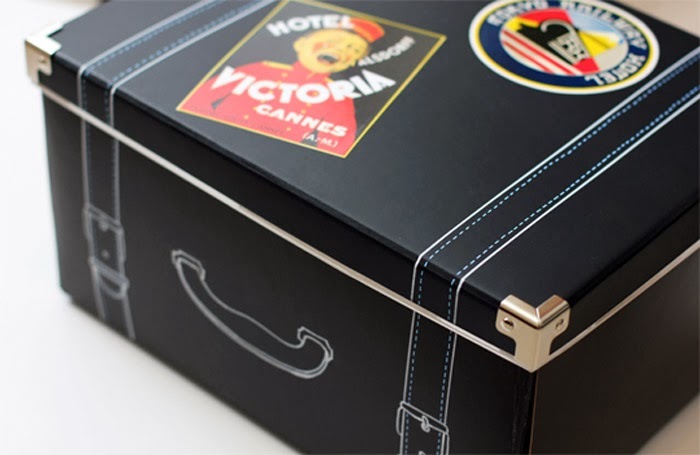 Draw some handles and straps on these IKEA storage boxes with white sharpies for a vintage look. From Inside My Hideaway. This is an amazing before and after, not only the chair but the entire room. 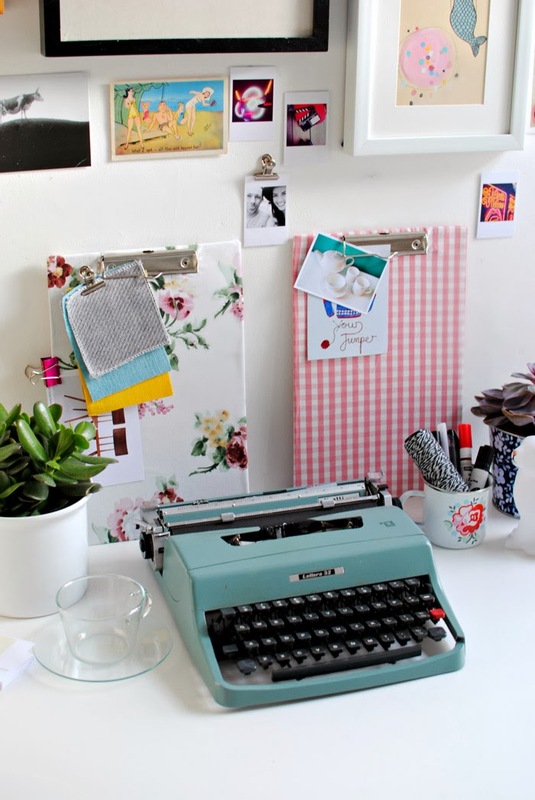 But since we're talking about offices here, check out this brilliant idea from Little Green Notebook. What do you get when you piece together strips of plywood? 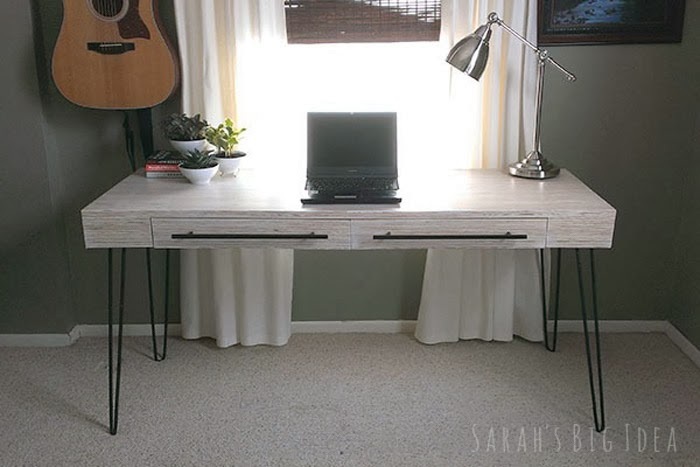 This amazing desk from Sarah's Big Idea. Check it out here. 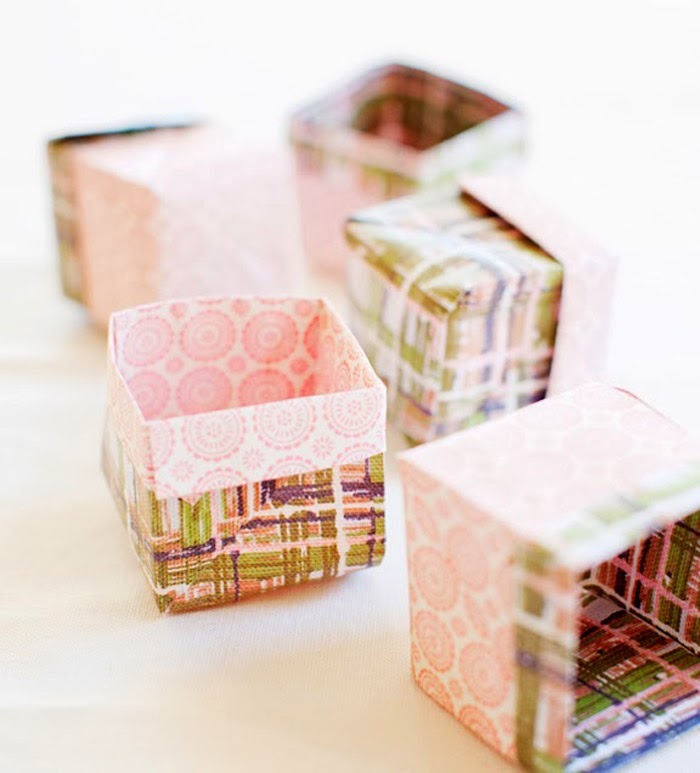 These little baskets come in handy as catch alls for your desk. Get the how-to from Between the Lines. 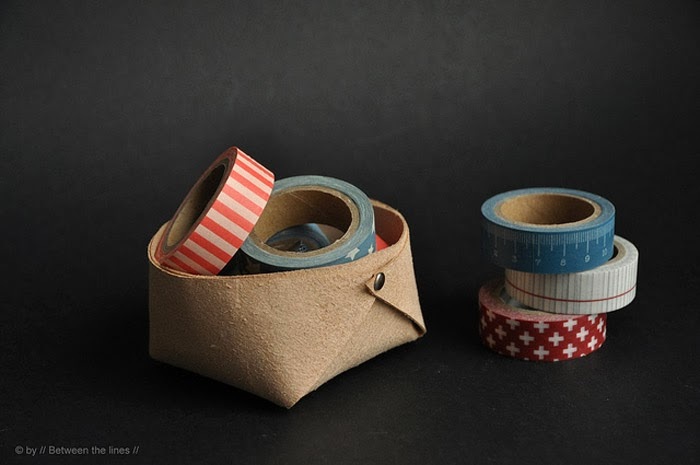 Both useful and pretty, a clever idea from Clairabelle Makes. A really clever idea from the ladies at The Merrythought. Click here to see more. Another type of catch-all, this time made with paper. From Pinecone Camp. thanks Allison - send a pic when you're done, if you like! super cute ideas! I'm still in school, but these ideas apply to my room too. thanks! Love this! Great ideas and super easy :) Thanks!